Agape is a simple friendly Community. We have a simple meal each week for our friends to join us and to simply get to know us. We are always keen to make new acquaintances and always open to those who also have a desire for new friends. 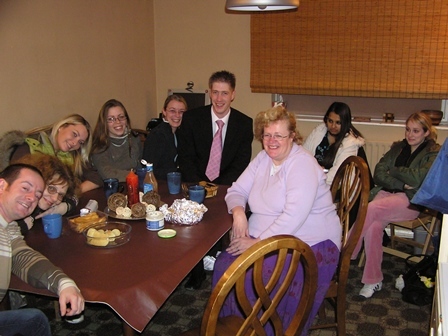 We have a lot of fun and meet regularly around an Agape meal which is a bring and share event and we talk together and help each other grow spiritually and intellectually. We also attempt to learn about finding inner happiness and lasting healthy relationship. We also sincerely discuss life and the Christian walk. Just relax here with us for a while and take your time as you scroll down the page and explore our site. We have different speakers from time to time to discuss interesting spiritual matters and life in general so we are open to dialogue and to hear different views. It is about the journey into spiritual enlightenment and personal growth. The Agape meal (love feast) is at the heart of our fellowship, which is also at the core of all that we do together. We wish to Simply follow Jesus in the power of the Holy Spirit. We are Christians and follow Convergence Spirituality as we feel their is a need today to get away from Denominations and judgemental attitudes and get back to the early roots of Christian living, by simply following Jesus from the heart. Agape Group Milton Keynes. Bucks England. UK. Agape Group Hanslope Bucks, England. UK. We are not in any specific denomination, as we are part of the Christian 'Convergence' movement around the world. We are an International Christian Community and our roots are in the ancient and biblical Celtic - Anglican streams, yet we are also modern and host various styles of Christian experience within our Community. Agape Community International is still growing. We are a cell (home group - style) community. Individual mission stations of the Holy Spirit. The STREET MINISTERS Project is a Para-Church organisation and is an Inter-Denominational work, as a Pastoral outreach into our society. We envisage many different Christian church streams coming together in this convergence work. 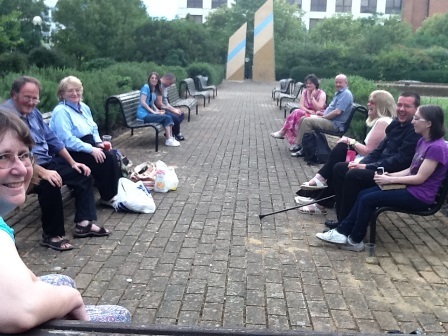 Pastors and leaders are being invited to join us on an oversight committee (a Council of Reference) for this powerful Street Work, in the Milton Keynes area, and other outlying areas at this time. We are pleased to have many supporting this work already. Interestingly, Street Ministers also have developed an Inter-Faith work, which is in operation, and works alongside, for those of other Faiths, who wish to join in with the work, and assist this worthwhile Pastoral Street work, of the STREET MINISTERS. We have a 12 step training programme to train those who are prepared to join the establishedSTREET MINISTERS Project. New recruits must attend a course, for service to the poorest of the poor, the lonely, also for the homeless and broken, those caught up in prostitution, substance misuse and of all kinds of people, many of which are simply revellers out on the streets of our towns and cities every night.... Come and help us! Each small group is a Mission Station of the Holy Spirit; reaching out to a hurting world. How blessed we feel, in being able to draw from such a wealth of Christian experience. There is so much richness from the various streams within Christendom, particularly in this convergence stream. We know that we are part of something new, something the Holy Spirit is doing with his people today. We are Christians who are totally committed to God and each other as a Consecrated and Covenanted Christian Community. We are in a Love Walk with Jesus and each other. We are joined in covenant, though we do not use a common purse, or live together. Members are made up of, marrieds, singles, separated and divorced people, who are all truly accepted by us and able to serve and minister to each other; according to the grace God has given each one. We are totally immersed in this new wave of church reformation, (the Second Reformation that is taking place) which God is doing, as the emerging church is shaken and stirred up, and reformed and revitalised once more, to meet the needs of God and His people. The first Reformation, was one of Doctrine, the Second Reformation now taking place, is an actual change of the churches' structure, and the way we do church today. We are opening Agape Community Cells around the world and in other parts of the U.K.
Tell us if you are prepared to open your own home - as a cell and we will train you. We believe that we are joined through the Spirit and not simply by location. Therefore, as we grow and start new core cells in other areas, we will naturally become more dispersed as a Community, but we stay in touch by phone and the Internet and try to hold joint meetings and conferences at least once a year and we also try to visit each other regularly. We are able to support and train members and Ministers through the Convergence Institute, which is also now available, as a distance learning centre, through the internet highway, though we would recommend attendance at specific Seminars and courses. A short Spiritual Healing Course. A 3 x month Spiritual Foundations Course. Also a 1 year Diploma Course in Spiritual Growth and Leadership. We also now offer Honorary degrees for special work within the Church. As 'Licentiate of Theology' (L.Th) and 'Doctor of Divinity' (DD) and 'Doctor of Ministry' (D.Min). We see this work as part of the CONVERGENCE Ministry and emerging church and the future way to equip existing Clergy, and Agape Community members and the leadership of the newer cell plants or churches, missions and other ministries of the future too. By being a dispersed community and working with all the denominations within Christianity, Agape Community International will uphold this movement of the Holy Spirit by working for true convergence with the various Christian denominations. We desire a true relationship with God, through a meditative lifestyle whilst rediscovering true Christian Community values. It is a modern mystical experience, similar to an 'open style' of monasticism. We believe in, and stand on, the Word of God and do not apologies for our application or blatant teaching of revelation in God's Word. At the same time we are also Charismatic in our approach to the application of the 'Rhema' (revelatory) Word of scripture. We are spiritual beings and explore our experiences in light of the mystical aspects of our Love walk. We also take delight in helping others to discover dormant richness within the Celtic/Anglican traditional stream. We celebrate our catholicity as being part of the 'One Church' One mighty river and Kingdom of God here on earth. Seeking to return to our roots with the early church - Christ and the Apostles, we see a renewal of our understanding of Christian community today. We experience the ancient and modern church emerging in this post Christian era, its a new day! There is a new Vision for Christrian life and growth today. At the same time we are longing to see reconciliation in the body of Christ and a real joining together, as we are part of the World wide 'convergence' movement. If you are searching to get to know God more and learn to walk with Him, then join with us and allow us to guide you to draw closer to God and help you learn more about us, and the things we teach, and that we trust in. We welcome you to our cell meetings, it does not matter what your background is, i.e. Baptist, Methodist, Pentecostal, Reformed, Roman Catholic, Orthodox, Jew, Muslim, Hindu, Budhist (or from any other Faith). Agape Community is for anyone that will be open to join in with our discovery of the Holy scriptures (The Bible) which points us to the living God, in and through Jesus Christ, God's only Son. We welcome one and all. "..love your neighbour as yourself." We believe, this is what the Bible says about the way we ought to live today in a true Christian Community within the emerging Church of today. Our Spiritual Coordinator of Agape Community International, is Bishop George Booty. He has been both a Baptist Minister and an Apostolic Episcopal Priest and is currently a Bishop in the World Communion of Christian Celtic Convergence Churches. George has been a Pastoral Psychotherapeutic Counsellor for over 20 years and has studied at post-Graduate and Masters levels in Psychotherapy within the Integrative and Transpersonal Psychotherapy professional and clinical disciplines under UKCP & BACP guidelines. He has also studied Law at a local University and Teacher training for Higher Education in the life long learning system. 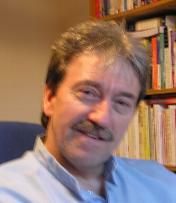 "I have been using 'Rogarian style' Pastoral based Psychodynamic Christian Counselling techniques since 1988 (Copley/Crab - Moorlands) and also used Nouthetic counselling (Adams 1990 - at LRB Seminary London) and Biblical Rhema word based counselling (Kenyon 2004 - USA) within the context of church ministry. Nevertheless, I found that I was unable to help some of the people who were coming to me for help and advice; although many had been introduced to Jesus and had begun to follow and serve Him! Although I had read many self help self-Psychology books for information, I simply did not have the in-depth knowledge and necessary skills to help others in many cases. I started to look elsewhere for more wisdom. I could see that some parishioners had a history of difficult childhoods and trauma that seemingly controlled their current behaviour and the outworking of their lives. I decided to get more expert training! Many people are looking for a Spiritual Director these days and/or a helpful Mentor, preferably with Life Coaching skills. Some of us, who are leaders in the church, have been Youth Pastors, Pastors, Christian counsellors and teachers for many years and are perhaps able to fill that role, for those who desire it from us, up to a point! But here is the rub! According to some statistics, about 25% of the people who come through the doors of any church today in UK are considered to be mentally ill and another 25% are borderline. Which means that almost 50% have major problems that need help, just to cope with life. There seems to be some problem in every pew (row of chairs) and almost every household, just as it is in the secular world too. Health professionals, have already said to me, that this is a very conservative figure! It is my belief that the Church has got to become more professional in the way that leaders counsel people today. There are obviously so many people suffering some form or neurosis, or relationship problems, etc, and who need a great deal of skill and care to help them through the way they view and negotiate their attitudes to life; and the often problematic and damaging reactions and responses that result. Many fellow Christians have become damaged, because in the past the church has failed to see the difference between sinful behaviour and mental health issues. We should surely not want to add to that damage, through guilt trips, or more rejection. There is a feeling that the church has often shot their wounded, so to speak. Often those wounds were caused or exagerated in the church and in service to others. There are many broken or burnt out Pastors and leaders within God's church. For example - It is important to realise that there is a difference in our heart attitudes, which can be due to either unmet needs and perhaps unconscious defense mechanisms causing unfortunate reactions, or simply due to conscious sinful behaviour. If it is the latter, we have sin in our hearts and we need to properly repent and ask forgiveness and accept our Father in heaven's love for us and move on. On the other hand, if it is a problem with our processes, relating to unmet needs and damage caused by our earthly parents / caring others (which they could have been entirely innocent of and not realised, which could have easily been unconscious and non-malicious). Although in some instances cruelty is deliberate, in any of these instances, as Christians we are not held accountable for the sins of our parents, but recurring sinful reactions and bad behaviour could be due to our unconscious working out of these early issues through projection and transference. This obviously need to be dealt with by those who are qualified and understand them. Once in therapy there is often an awareness and it is possible to make adjustments to thought processes; by having help to facilitate change to happen. Yes we can trust the Holy Spirit to work wonders, but we must also remember that we are to be "..inwardly transformed by the renewing of our minds.." and we must learn to "..work out our salvation with fear and trembling..", says the Apostle Paul! Also, "..take the plank out of your own eye first." said Jesus! We also need to command the respect of Health professionals in the medical and law field that have seen the results of damage done in the name of Church, and through many sects, and cults. Although, it also needs to be said that much good has been done by Christians down through the ages , so God's Church is not 'all' bad, and in fact a lot of positive work goes on all the time; let us not forget that..! Church leaders need to be able to be able to hold their head up and say with confidence, that they do know the difference between so many possible causes of relational issues, i.e. clinical-mental, spiritual-demonic, or complex behavioural issues that face the general public today, which sadly they often do not! It is important, to no longer just pronounce a person, as bad, or sinful, when they miss the mark somehow, at times due to damaged emotions or some neurosis. People often need professional help to determine the root cause of behavioural problems and helped to become aware of relationship issues and unusual behaviour patterns. We believe God can heal anyone. It would be advantageous to offer help through the skills that we can gain through professional training. Only then can we use further wisdom about the way the mind and emotions develop and process. We will then be more knowledgeable and qualified to work with confidence in a much wider area, and by so doing, will surely have the general public's confidence. The days are long past, where the local Minister was automatically well respected as a professional person. In Spiritual matters their words were accepted (even if not always desired) there was an element of respect for their ministry of souls and church leadership was listened to by many in the western world. Currently, a Christian Minister is, more often than not, typcast in the media, as extreme, in some way (to be ridiculed) and either a fanatic, a sexual pervert, or a crackpot. An ordained person is often seen as someone who has lost touch, or out of date and the church is also considered to be legalistic, medieval and not relevant, which leads to mistrust and disrespect, and in some cases, even disgust. So let us all work to bring back the Biblical relevance to our professional existence and moral and ethical concern for the damage the church has caused in the past and try to do far less damage in future. We can learn new skills, specifically in the ways that we may speak into people's lives, it will also help to hone our spiritual awareness, of where people are at. The Church will be seen to be more up to date and relevant in today's society, we may even gain back a little respect and be in a position of being heard once more." Comments by - George A. Booty. October 2007. We also draw from the various streams of Christian experience around the world, cementing spirit led believers through Jesus Christ; so come forward and stand together in this wonderful and emerging new movement of the Holy Spirit. We are like 'spiritual stones' and although we are individuals, we are all 'followers of the way' of our Lord Jesus Christ. Home: Welcome to Agape - What we are! Our Healing, Pastoral Counselling & Therapeutic Ministries. How to join our Agape Community.... Ends. We are also part of the World Communion of Christian Celtic Convergence Churches and offer a hand of friendship to whoever passes through this way.